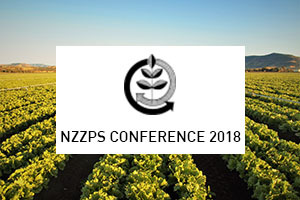 Membership of the New Zealand Plant Protection Society is open to all groups and individuals with an interest in all aspects of biology, ecology and control of weeds, vertebrate and invertebrate pests, and pathogens and beneficial micro-organisms in agriculture, horticulture, forestry and natural ecosystems. The scope of relevant activity includes everything from pre-border evaluation of biosecurity risks, through eradication of newly-established invaders, to the management and control of well-established weeds, pests and diseases of pasture, arable and horticultural crops, and conservation. Members include scientists, commercial company representatives, growers, foresters, and regional and local government. All are interested in sharing information and promoting plant protection in New Zealand. Come and meet the Peracto NZ team at the annual conference in Nelson on 14-16 August 2018.